The Mamanuca Environment Society is committed to the promoting awareness to protect the marine and terrestrial resources of the Mamanuca Region and to assist in the environmentally sustainable development of these resources for the benefit of present and future generations. 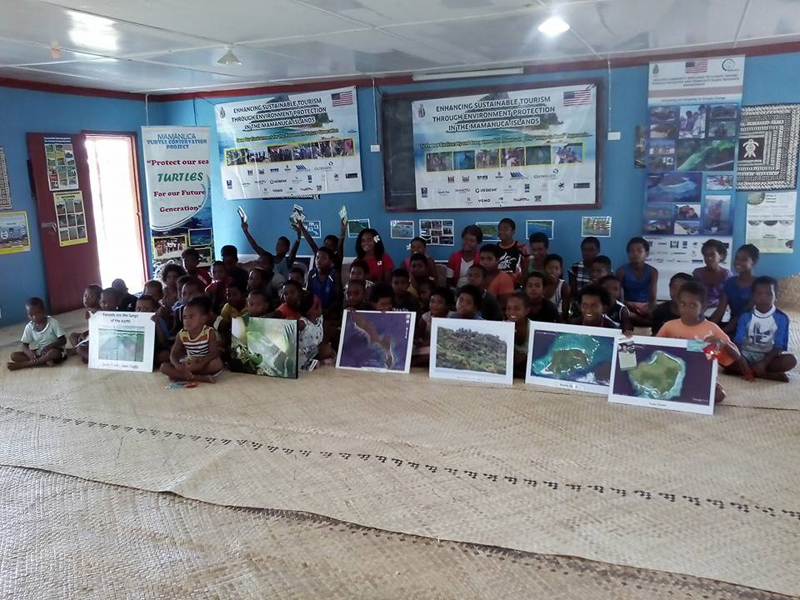 The project “Enhancing Sustainable Tourism through Environment Protection in the Mamanuca Islands” focused on maintaining biodiversity and healthy ecosystems targeting community children. The project aimed to continue its partnership with schools, communities and resorts in up-skilling local knowledge and to allow stakeholders the opportunity to learn about the importance of sustainable tourism through environmental protection and letting them take ownership of the actions they can take to maintain these natural resources. MES Project officer Ilisapeci Sokidi in her introductory note highlighted that the project is essential in supporting the tourism business in the region. “With an increase in the number of visitors to the region as well as a population number in the communities of the Mamanuca region, we need to work in unity and advocate the need to protect our natural resources and promote our rich and unique biodiversity,” she said. This educational program also focuses on building the resiliency of the villages to reduce exposure and sensitivity to climate change. Undertaken were several organised activities in their respective age grouping. Colouring, storytelling using natural resource management flip charts, group discussion and presentation all spearheading on sustainable practices that can help maintain biodiversity and healthy ecosystems focusing on Ridge to Reef Concept. An emotional Yaubula Management Support Committee chairman, Jone Rabalolo said that there had been a lot of developments happening and we needed our chiefs and leaders to support our move to protect what we are blessed with. “Without the support from the Vanua and the village members all this won’t be achieved”, he added. The programme ended with the children engaged in the tree planting program in the demarcated reforestation site within the village boundary. The long-term dry forest restoration program will continue with the aim of supporting the village livelihood through food and water security. It will also help wildlife.